Handmade in 18ct white gold. 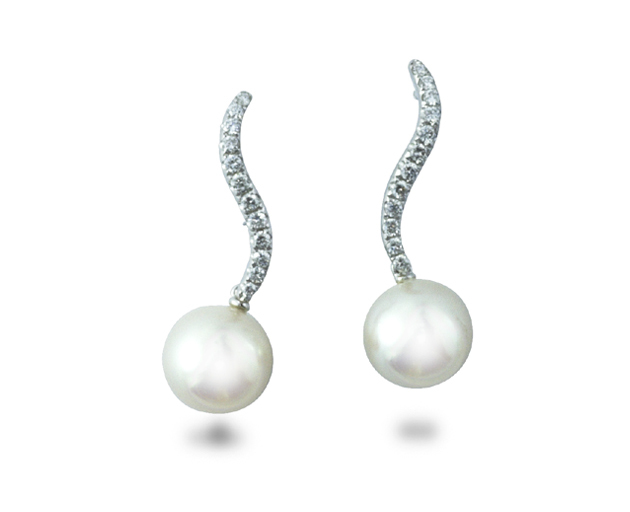 These lovely diamond pearl earrings have been pave set with small diamonds. A perfect round 7.5mm white akoya pearl drops from the bottom of these wave earrings. They have a post and scroll fitting with an approximate drop of 1 inch.